Quickmap offers the facility to view a preview of a LINZ title. This is a non-authoritive copy of the title that can be up to about a month old. 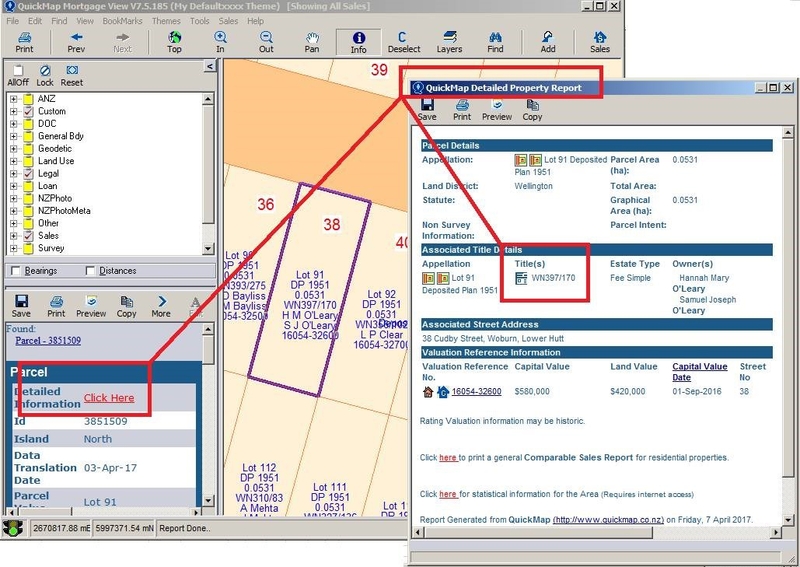 To view a preview of the title, click on a parcel and get the detailed property information (If the parcel details aren’t showing and the parcel is already highlighted, you can click on the words CLICK HERE that are in red, in the “Dock Windows” on the left hand pane in Quickmap to bring up the detailed property information). Next click on the title icon to view the title preview.